Millionaire betting is based on the outcome of the latest EuroMillions draw results for Ireland published shortly after the draw. 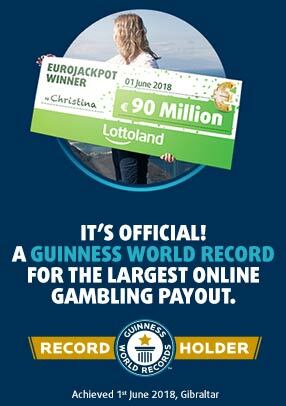 If you are a winner with Lottoland, we'll let you know via email, or you can check by logging into your player account. The official EuroMillions has two weekly draws, held each Tuesday and Friday at 8:45pm (CET), or 7:45pm Irish time. Download the Lottoland App for iPhone or Android today! Play Millionaire, check results and get special discounts and promotions!